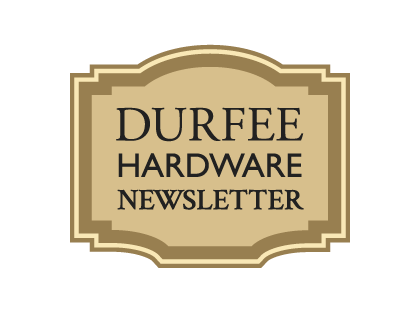 Durfee Hardware is expanding their hours once again! This ain’t no April fools joke. There are people that consciously decide to figure out how to be “handy”. That usually is motivated by wanting to save money. Often it’s associated with the purchase of a house. In any case, you might decide you want to learn how to repair a broken window or how to strip wallpaper and repaint a room. When you price it out to have somebody to do it for you, you decide it is now time to educate yourself (Durfee’s can certainly help you with that process). I think the most important part is that my dad was willing to let me try to fix things even when he was a little worried that it might not work out. He let me install a new stereo in our car, he let me try to make my own solar panel, and I think one of the earliest things was fixing the paint “shaker” at the hardware store. The original paint shaker we had did not have an enclosure. It just clamped a gallon or quart of paint in it and started shaking. Sometimes the guys didn’t put the cover on as tightly as it should and the paint went everywhere (it’s incredible how far paint can spread from a shaking gallon with the cover flying off). The paint was caked on that thing for years. I was probably 12 or 13 years old when I decided to fix it. I don’t think my dad realized that I was going to take the entire thing apart to do that. I took the thing completely apart and had the pieces all over the table in the hardware store basement and, looking back on this situation, I bet he was completely surprised by how far I had gone in this “fixing” process. He clearly had no idea if I was going to be able to put it back together again. The great thing is that he tried to act like everything was fine and that he had faith in me. So I can remember greasing the bearings and painting all of the exposed metal with an apple green enamel. The thing looked like new and it worked great. That experience just made me even more interested in working on the next thing. It’s funny that as I walk through the store I see things that I have fixed or built or replaced throughout my life. It makes me think of my dad and the people I’ve worked with over the years. I guess people do read this Newsletter. Last month I mentioned that my brother was using a paint primer spray can that sprays straight up for use on ceilings and we sold a bunch of it. I am helping my mother-in-law these days. She is at an age that she can’t do much herself and even trying to hire somebody is a stretch for her (she lives north of Boston). So now when I go up there I bring some tools and supplies to fix things around her house. This month it was changing the molding around a door and staining and finishing it. Also, my car was really having trouble starting and I thought it was going to just stop starting for me at some inopportune time. I got my tools out to replace the battery but I noticed that there was corrosion on the battery terminals. It’s funny, the corrosion doesn’t represent much electrical “resistance” but because cranking the engine takes so many amps of current, the voltage on the motor drops to a point where the motor doesn’t want to turn. So, a turning a wrench on the battery terminals a few times and cleaning the terminal and battery posts with some fine sandpaper solved the problem. There was some rusted metal on the battery bracket and I sprayed that with WD-40. Why would I do that? We’ll I didn’t want to spend the time to take it all apart and do it “right” and the WD in WD-40 stands for “water displacing”. The WD-40 will help the water stay out of that bracket and avoid corrosion (at least for a while).